1.) Wash, dry and cut all of your vegetables. 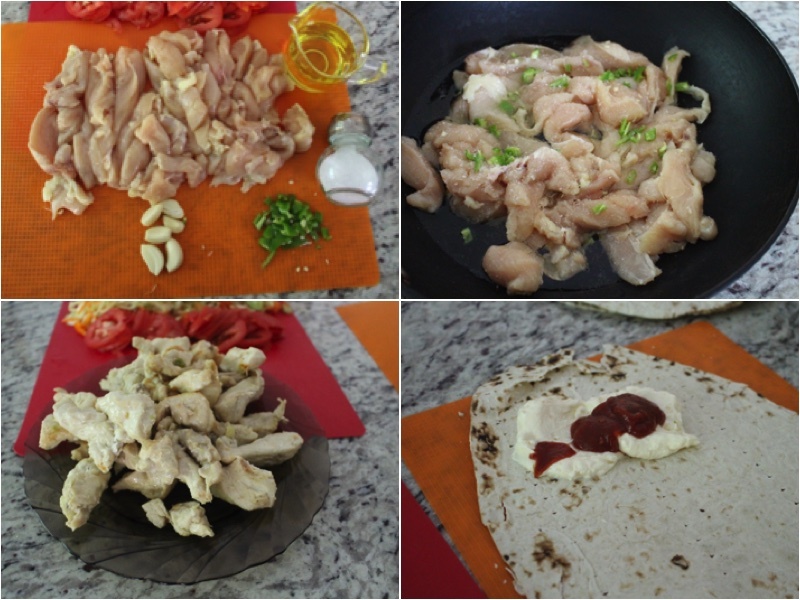 Cut your chicken and place it in a hot oiled skillet, with scallions and seasoning. Fry your chicken for 20 minutes on medium heat while mixing occasionally. 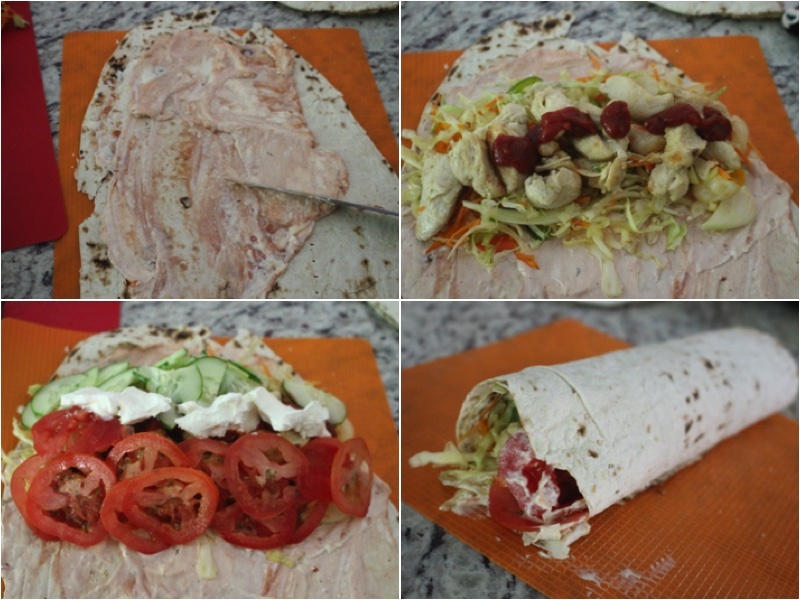 Take your lavash and add mayonnaise and spicy ketchup and spread it out. 2.) Continuing add all of your vegetables and add your chicken on top with some hot tomato sauce. Also add your sour cream on top. Then roll your lavash into a roulette and repeat the process 3 more times to make all of them. 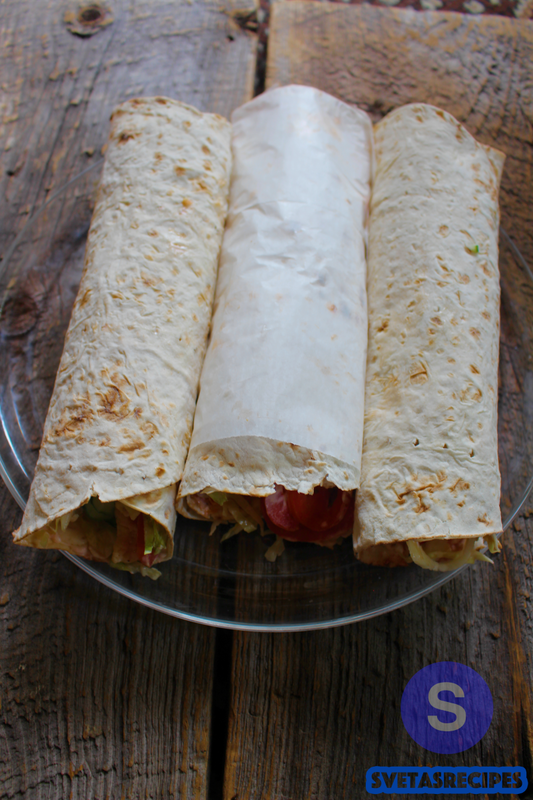 NOTE: MAKE THESE WRAPS RIGHT BEFORE YOUR ABOUT TO EAT THEM UNLESS THEY CAN BECOME SOGGY! Wash, dry and cut all of your vegetables. Cut your chicken and place it in a hot oiled skillet, with scallions and seasoning. Fry your chicken for 20 minutes on medium heat while mixing occasionally. 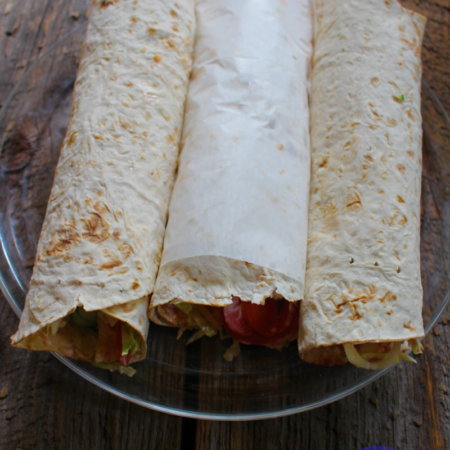 Take your lavash and add mayonnaise and spicy ketchup and spread it out. Continuing add all of your vegetables and add your chicken on top with some hot tomato sauce. 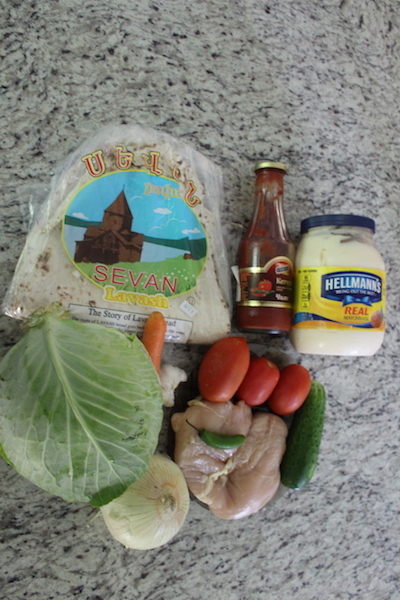 Also add your sour cream on top. Then roll your lavash into a roulette and repeat the process 3 more times to make all of them.